The nature of storytelling in games has evolved drastically over time. Gone are the days where all you could do with a small budget was put a few blocks on the screen and ask gamers to shoot them (not that there’s anything wrong with that). The First Tree represents what storytelling can be in the industry today, provided that real care and thought has been put into it. This is an indie title that tells a beautiful, emotionally affecting story while painting a vivid, colourful world for you to explore, all in under two hours. It’s an impressive achievement. At the heart of this game are two stories told side by side. 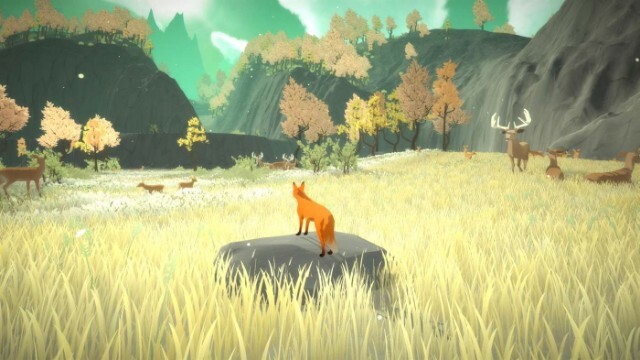 The first narrative sees you play as a fox, looking for her missing cubs in different vistas including windswept mountains and luscious forests, while the second involves a couple dealing with a personal tragedy. 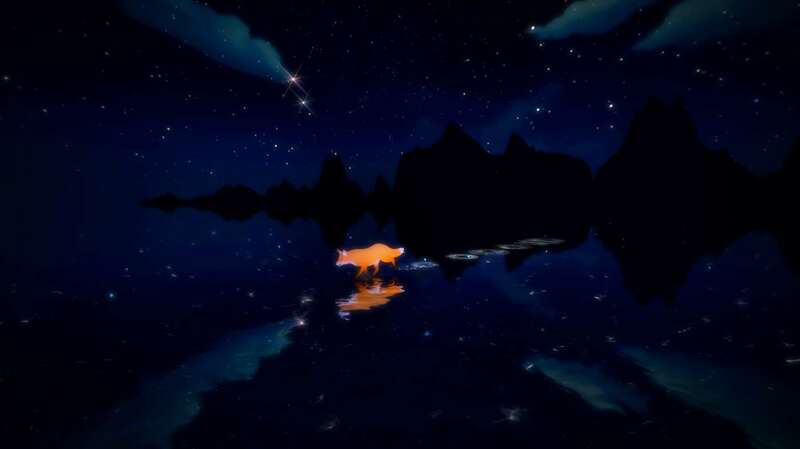 The couple’s dialogue occurs during your exploration as the fox, and the two narratives dovetail wonderfully, particularly in the final ten minutes or so. As you wander around, you can uncover objects from the narrator’s life, which trigger conversations between the couple that fills gaps in the story, and gradually unveils the tragedy at the heart of the story. As you uncover more objects, you learn more about the narrator’s past, and there are some wonderful moments where the stories mirror one another. There are also a couple of simple puzzles here, and a fair bit of platforming, but nothing too challenging. The few controls are explained to you pretty quickly, and all works as it should. The greatest asset The First Tree possesses is its story, which deals with themes including loss, regret and broken homes, and I imagine could hit quite close to home for some players. Bringing this to life is a solid, although slightly wordy and heavy handed, script from writer/director David Wehle, who brings a painful truth to the narrative that unfolds over the course of two hours. The voice acting is strong from the two lead actors, who effectively convey the pain of their situation. There’s nothing flashy or over the top here, but it’s real and authentic. The stakes feel personal. In an interview with Wehle, he stated that the game was written as a response to certain events that had occurred recently in his life, and it shows. It’s a story that pulls no punches, and doesn’t shy away from the sometimes harsh and unfair nature of life. One or two lighter moments are sprinkled throughout, but it remains an intense experience. A cool feature that becomes apparent only after beating the game once is the inclusion of director’s commentary. On a second playthrough, audio clips are found scattered around the world, recorded by Wehle, explaining some of his choices in telling the story. It’s an insightful feature, and one that will motivate another playthrough. While the story deals with tough themes, it’s also beautiful, as is the world the game lets you explore. 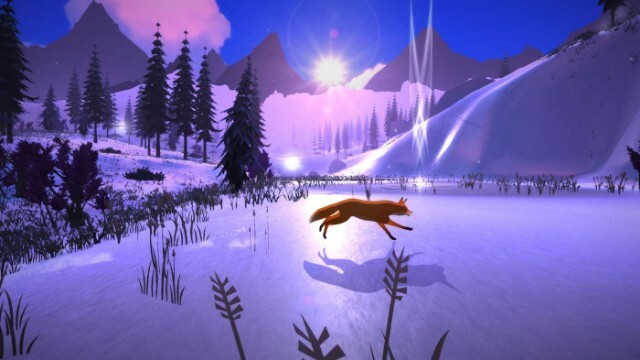 As the fox, you walk-run through several different locations, each of which has its own distinct feel. There are no waypoints or guidance here, you discover the world for yourself. There are only a handful of directions to head in during each environment, so it’s difficult to get lost. Bright and dynamic visuals help light up the environments, immersing you in the gorgeous world and there have been a couple of moments where I have had to just stop walking and admire. Some of the views really are wonderful. Special attention should also be paid to the audio here, it’s exceptional throughout. Whether it’s the cold winds of the mountains, the soft pitter patter of rainfall, or the noise of swaying leaves, it all sounds completely authentic, soaking you in the incredible atmosphere. Despite the world’s beauty, there are several occasions of some pretty noticeable pop-in occurring as I moved through the world. Textures such as bushes and trees do suddenly appear very noticeably, and it does detract from the almost suffocating immersion. Also worthy of a special mention is the hauntingly beautiful score, which plays frequently as you explore. Each of the unique environments has its own distinct theme, matching the mood of the world. One of the brighter worlds has a slightly more upbeat melody, while some of the harsher ones have a more sombre, melancholic soundtrack accompanying them. You can tell a soundtrack is good when you get goosebumps in the opening minute of the game, and it would be a lie to say that I didn’t experience this at least half a dozen more times over the course of the game. The music helps colour in the moments that you spend exploring, adding a weight and gravitas to moments where very little may be happening on the screen. It’s fair to say that The First Tree on Xbox One won’t be for everyone. If a fast paced shooter is more your thing, then this may not be for you. But if you’re looking for a bite sized title that tells a profoundly moving story, then you shouldn’t be looking anywhere else. Fans of story driven games – like Firewatch – will be perfectly at home here. As has been previously mentioned, this is not a lengthy title, and you’ll likely beat it in around the same time it takes to watch a movie. But let’s face it, the story in this is as good as any movie you’re likely to watch. It’s a beautiful experience. Just go and play it now. You’ll thank me later. Previous articleFortnite Creative announced – opening up a whole new way to play!